Located in Largo, Maryland, ManorCare - Largo is a for-profit facility with 130 certified beds. 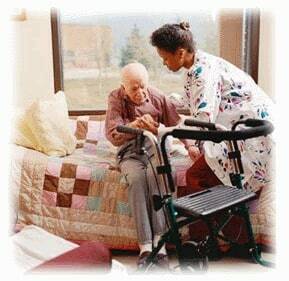 Its service offerings include post-hospital care, independent and assisted living, rehabilitation, chronic illness care, dementia care, and memory services. This ManorCare facility is somewhat larger, in terms of resident population, than the state and national averages: at last count it had 125 residents, versus the Maryland average of 107.4, and the U.S. average of 86.1. For some odd reason, Medicare gives this facility's location as Glenarden, a town a bit north of Largo. But, no, ManorCare - Largo is in Largo. This ManorCare facility is a unit of HCR ManorCare, which in turn consists of Heartland Health Care and ManorCare Health Services. The combined entity operates over 250 facilities nationally. ManorCare Health Services has a very strong presence in Baltimore and elsewhere in Maryland, including Bethesda, Chevy Chase, and Towson. Like most of these big chains, our nursing home lawyers are unimpressed with ManorCare. While this facility is far from perfect, this is a four-star facility according ot Medicare. We think, given the quality of nursing home care in this country, above average means average. But with one caveat. This assessment takes the quality measures at face value. Quality measures is what elevated ManorCare Largo. This seems like the easily part of the inspection for big sophisticated nursing home can manipulate (much like smart law schools manipulate the rankings). To be clear, we have zero evidence of this with ManorCare on any other facility. But it always makes you wonder when you see the big chain nursing home struggling at everything except these quality measures. The latest standard Medicare survey, in August of 2016, included the pro forma health inspection, which found a total of 11 deficiencies at this facility. The Maryland statewide average is 11.5 deficiencies, the U.S. average 7.2. ManorCare - Largo got a 3-star rating (average) for the health inspection. ManorCare - Largo did less well in the staffing category, receiving a 2-star (below average) Medicare rating. This is classic ManorCare. These nursing homes really seem to shoot for average staffing but sometimes come up a little short. One thing is for sure is that there is an inverse relationship between the level of staffing the chance of a nursing home lawsuit being filed against the facility. The amount of time residents saw an RN each day was flat-out average (slightly below the state average, a tad above the U.S. average), and this facility got a 4-star rating for RN care in general (which runs against the "they are trying to cut costs at all costs" theory). Likewise, residents' time with LPNs and LVNs (licensed practical nurses, licensed vocational nurses) and physical therapists was about the norm. Only in the category of time spent by certified nursing assistants was this facility below average, although significantly so (about an hour less per day). Nonetheless, that 2-star staff managed to deliver ostensible 5-star care. The top 5-star rating that ManorCare - Largo received for quality measures begins with its excellent performance with respect to short-stay residents. This ManorCare facility beat the Maryland and U.S. averages in seven out of nine measured categories. "Our clinical and therapy teams are experienced in providing specialized care focused on your needs, interests and ability. This commitment results in a smoother and safer transition throughout your recuperation." So says the website for this facility. We note that they talk about recuperation - as in, getting better and then checking out. In fact, the Medicare statistical picture of ManorCare - Largo is one of a facility that is doing well at the job of helping temporary residents get well and go home. The rate of successful discharges here was 71.1 percent, a good stride ahead of the Maryland and U.S. averages (59.3 percent and 56.9 percent, respectively). Short-stay residents here also had much success in improving their functionality: 76.1 percent at this facility, versus 64.6 percent at homes statewide, 63.3 percent nationally. The most striking stat for short-stay residents was their reporting of pain: only 2.1 percent of these ManorCare residents reported having it - a minuscule number compared with the Maryland and U.S. averages (13.8 percent and 16.4 percent, respectively). The quality measure stats for ManorCare - Largo's long-stay residents were mostly terrific. There was a slightly above-average tendency among these residents to have issues with pressure ulcers (bed sores) and incontinence, but in most other categories these residents have been faring quite well. Almost none were in serious pain (0.6 percent, a tenth of the Maryland average); few had urinary tract infections (1.4 percent, a third of the state average). Very few were depressed (0.7 percent, about a seventh of the Maryland average), and these long-term residents were much less likely than average to need antianxiety or antipsychotic meds. They suffered fewer injurious falls than average, and none of them were subjected to physical restraints. They all got pneumonia shots. ManorCare - Largo has no competitors within two miles. However, compared with the nearest three nursing homes in the area, ManorCare - Largo does comparatively well. For instance, all four of these facilities got five stars for quality measures, an extremely significant indicator of performance. All told, ManorCare - Largo falls right about in the middle of this sampling of four facilities, with an above-average 4-star star overall rating from Medicare: the same as Villa Rosa Nursing and Rehabilitation, LLC, in Mitchellville, which got very comparable Medicare scores across the board. ManorCare - Largo did better in the Medicare ratings than Forestville Health & Rehabilitation Center, in Forestville, which got an overall 3-star Medicare rating. Collington Episcopal Life Care, in Mitchellville, got not only the five stars for quality measures, but a 5-star rating overall: exceptional scores anywhere. Has a ManorCare nursing home made an error that ended in tragedy? We can help navigate Prince George's legal system, give you your legal options. We fight for justice and compensation for you. Our legal system and a Prince George's County jury will hold a nursing home accountable if the facility does not make the settlement offer that justice demands. Call our nursing home lawyers at Miller & Zois today at 800-553-8082 or get a FREE no obligation case review. Look at nursing home lawsuits filed in Maryland in 2016. You will see 5-star nursing homes as the defendants in elder negligence. That said, what our lawyers see is a lot of very poorly rated nursing homes getting sued. How much money are nursing home cases worth in Maryland? Information on nursing home UTI and bedsore cases. These are two of the most common suits against Maryland nursing homes. Call our nursing home attorneys todayat 1.800.553.8082 or get a FREE confidential and online case evaluation. Our senior living attorneys will have you sift through your options and help you chart the path to maximizing the trial or settlement value of your case.